It has been 6 years since the launched of the first Kindle on 19 November 2007 to Kindle Paperwhite on 1 October 2012, where can I buy Kindle in Singapore? You may find it hard to believe that Kindle is not available in a modernized country like Singapore? According to the internet source, it was said that this may have been due to copyright issues, some kind of ‘political' reason, etc., and Amazon did not give any clear reasons on this matter as well. After all we are not alone, Kindle is also not available in many countries like Afghanistan, Algeria, Azerbaijan, Bahrain, Bangladesh, Brunei Darussalam, Malaysia, Maldives, Mali, Mauritania, Morocco, New Zealand, United Arab Emirates, Uzbekistan, Yemen and many more. Until the day Kindle is available in Singapore, which we have waited long enough, do you think this will ever happen, huh? Amazon China already has its beta version of Kindle shop launched, though it is only available through Kindle app for computer, iOS and Android devices. 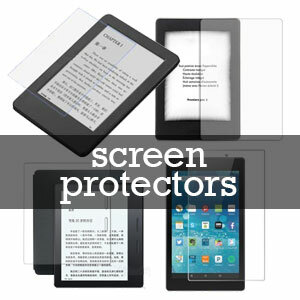 Obviously, this has paved way for Kindle device in China, will this take off? We shall see. How about Singapore? Well, life will find its way, we do not have Amazon Singapore, but there are many alternative ways for you to buy Kindle in Singapore, and same for Malaysia. Where can I buy Kindle in Singapore? Here we will discuss the various ways you can buy Kindle in Singapore. If you are internet savvy enough, you can easily find that Kindle and Kindle Fire is actually selling on many online platforms like online shops, eBay and some forums. And if you are observant enough, you may also find that some retailers like game shop and computer shop in your neighborhood are selling Kindle too. However, they are priced at high markup, normally around S$50 to S$200 on top of the listed price in Amazon (after conversion to Singapore Dollar). So, another question that you may asking will be: how do these people to get Kindle and sell in Singapore? Well, this is what I am going to reveal to you, how and where can I buy Kindle in Singapore? With this method, you can also buy Kindle in Malaysia and Indonesia. Apparently, the cheapest way is to ask your friend or relatives in U.S. to buy it then send or bring it to you. Okay, we are getting close to the answer now. What if you do not have any friends or relatives in the U.S.? Well, the secret answer is: you pay someone in U.S. for sending it over to you in Singapore or Malaysia. Of course, the ‘someone' we referring here is not a person but a company that specialized in providing this type of forwarding service. I call them “Package Forwarders”, these companies have an office in the U.S., and they will provide you with their U.S. office's address (also known as “virtual address”), with this “Virtual Address” you can now buy Kindle from U.S. Amazon and instruct them to deliver your Kindle to the package forwarder's office, the package forwarder will receive the Kindle on your behalf and they will forward the package to you in Singapore or Malaysia. 3. Share with your friends on Google+. 4. Bookmark this page for future reference. I just got my paperwhite yesterday. Do you think that I would have problems buying and downloading kindle books via Amazon UK using a UK address, UK gift card, but at Singapore IP address? You can download content via any IP address, but for purchase, you will need the ip of the respective store’s country you’re visiting. Just want to say a very big thank you!! Your website is a godsend for all kindle owners. I’d recently purchased a kindle paperwhite from a 3rd party vendor. While they did provide info on how to create the Amazon account and purchase of books, it was not as detailed as your posts. Your recommendation of private tunnel is so important for this iPad user who don’t own a notebook. I’d issues with my account and managed to ‘scrubbed’ it clean using your instructions. Not sure if others will encounter this, Amazon wouldn’t allow me to use the virtual address created by the address generator. What I did was to used the postal code and search for an actual address online (say property listing in the area) and use that instead. Will definitely recommend anyone I know who intend to get a kindle to read your postings before the purchase! You’re most welcome and Happy New Year! There is only one way to do this. Find a trust worthy partner to do reviews and buy books. With a different bank account, email account, amazon account and different internet server (or use public WiFi etc. Wireless, McDonald’s, KFC, Shopping Malls and blah blah blah…). I followed your instruction on how to buy books on Amazon. I succeeded two days ago in buying two books. But when I logged in to my account using the faked name, Amazon flagged an error message on incorrect email address or password. The problem is that a code is needed to change the password. Obviously, the account name was faked and the related email address was also faked. So I could never get the code to go to the next step. May I ask if there is a way to overcome this issue? You should use a real email address to register account. Only address and phone number are needed to be from US. The code asking should be the postal code you have used. This usually happen when you are login to your account using other PC or IP address, try to use the same PC and IP address to login. Another way is to try to login using Amazon app on your phone. If successful, always keep a record of the address and phone number you have used for account registration.